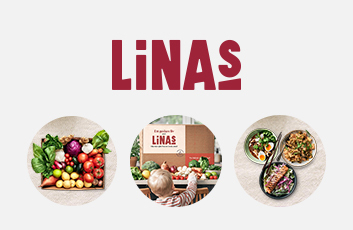 Linas Matkasse - Home delivery of food. Lina will help you get the life puzzle together. Every other week, a well-stocked bag of groceries will be delivered to your door, planned in minute detail with recipes and ingredients for 5 dinners for about 4 people. Please note: This offer can only be used one time per EuroBonus member, and is only valid for new customers. Points are only paid for new subscriptions customers.